典座教訓 Tenzo Kyōkun (1237) Instructions to the Chief Cook, in: Zen is Eternal Life, by Houn Jiyu-Kennett, pp. 145-161. 辨道法 Bendōhō (1244-1246, "at Daibutsuji") How to Train in Buddhism, in: Zen is Eternal Life, by Houn Jiyu-Kennett, pp. 131-145. 赴粥飯法 Fushuku-hampō (Fushukuhampō) Meal-Time Regulations, in: Zen is Eternal Life, by Houn Jiyu-Kennett, pp. 113-131. 衆寮清規 Shuryō-shingi (1249) How Junior Priests Must Behave in the Presence of Senior Priests, in: Zen is Eternal Life, by Houn Jiyu-Kennett, pp. 108-113. 対大己五夏闍梨法 Tai-daikogogejari-hō (Taitaiko Gogejarihō) (1244) Traninee's Hall Rules, in: Zen is Eternal Life, by Houn Jiyu-Kennett, pp. 104-108. Albany: State University of New York Press, 1996, 1996. 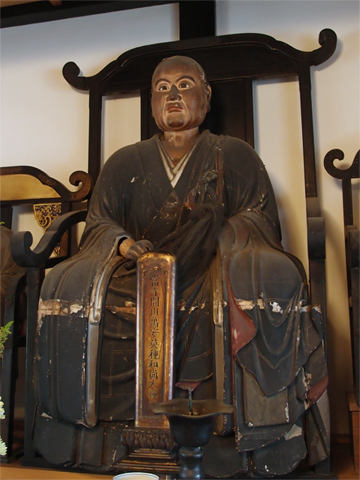 272 p.
Eihei Shingi contains Dogen's principal guidelines and instructions for everyday life and rituals in the monastic training center he established. Included are a collection of dramatic teaching stories, or koans, on the attitude and responsibilities for practitioners in the community, the only collection of traditional koans with this practical focus. In addition to the translation, the book includes detailed annotation, a substantial introduction, glossaries of Japanese technical terms and persons mentioned, and lineage charts, all providing relevant background in historical and religious context. Shambhala Publications, 2005, 136 p.
Tōkyō Sankibō Busshorin, 1962, 128 p.
"Daihonzan Eiheiji 750th year commemoration volume for Dogen Zenji." 道元 著, 岸澤惟安 老師校譯 / Dōgen cho, Kishizawa Ian rōshi kōyaku. ３版 Edition: 官養院 Kanyō-in, 島田 Shimada, 1981.